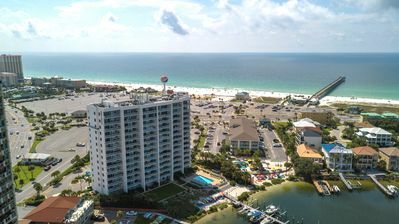 Come visit our home away from home and enjoy the very best Pensacola Beach has to offer…just a few steps off the patio and your toes are in the sand! 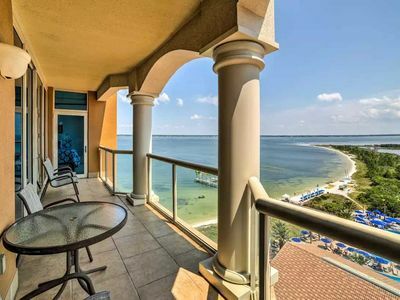 Choose between the calm, clear waters of Santa Rosa Sound (right outside your doorstep) or cross the street for the waves and beauty of the Gulf of Mexico. 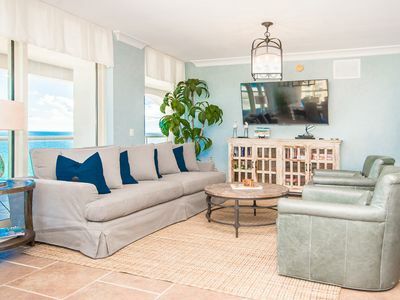 La Bahia is a friendly, 22-unit complex located on the quiet area of the island….perfect for families and those wanting to relax. 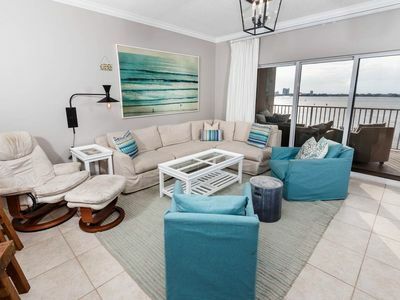 • Our 3 bedroom, 3 bath home features a private balcony for each bedroom with views of the water. The rooms are spacious with a flat screen TV in every bedroom. 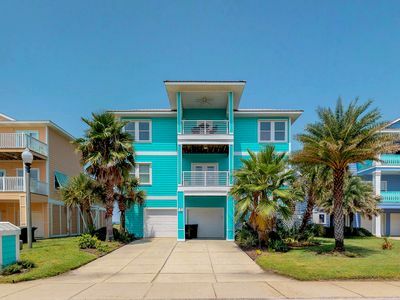 • Huge patio deck with ample space for everyone and you are steps away from the kids playing in the sand. No waiting on stuffy elevators here! 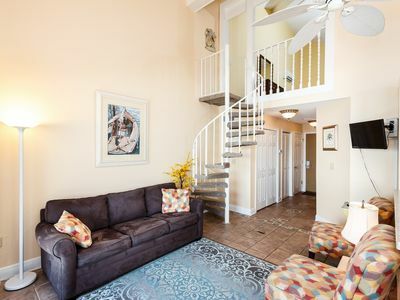 • Recently updated with all the comforts of home including ample kitchenware, full size washer/dryer, and wireless high speed internet. • Reserved, covered parking for up to 2 vehicles directly under unit. • Boater’s paradise: boat/jet ski moorings right off the beach to secure your vessel (or pull your kayaks/paddle boards right onto the soft shore). • The bay-side beach is gentle and shallow…perfect for young kids, crabbing, fishing, watching dolphins, water sports, and snorkeling. 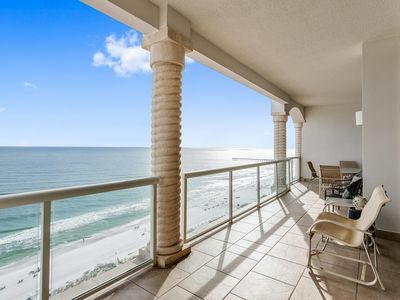 • The gulf-side beach is a 2 minute walk from your door (we've timed it!). Great for collecting sea shells, boogie-boarding, and catching all the beach action. 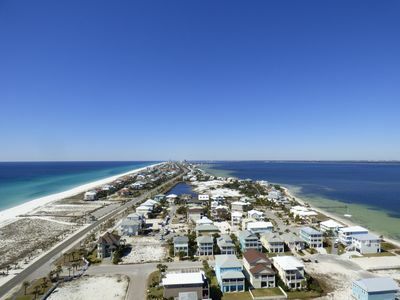 Pensacola Beach is consistently ranked as one of the best beaches in America. 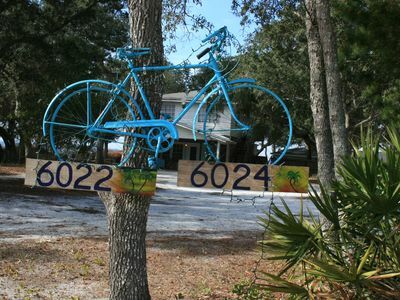 • A dedicated bike/running path outside of La Bahia runs for miles. 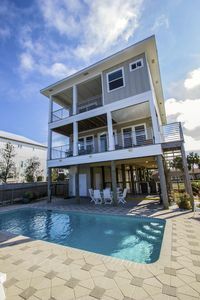 • Onsite pool, BBQ grills, and gazebo. 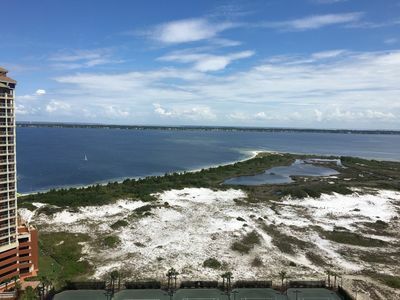 • In-season, you’ll love watching the Blue Angels practice from our patio, or visit the nearby historic Ft. Pickens for a front row seat. • Free local trolley (runs Memorial Day to Labor Day) can take you to any of the countless restaurant/bar/entertainment options along the main stretch. 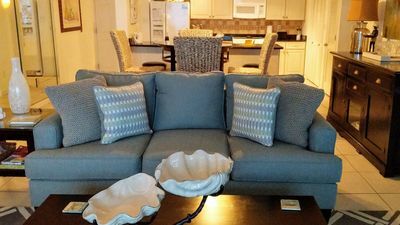 • 1 bedroom with private balcony and view of gulf (queen bed, flat screen TV). Private full bath. 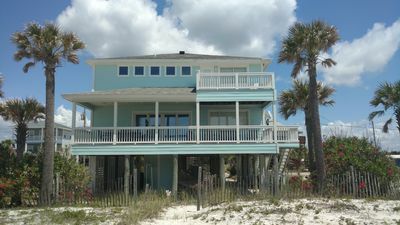 • 1 master bedroom with private balcony and view of Santa Rosa Sound (king bed, flat screen TV). Private bath with shower and separate Jacuzzi tub. • Convenient ground-level storage closet. Lockable & great for securing bikes or keeping sandy gear outside. Prohibited: For the utmost comfort of our guests with allergies, no pets and no smoking please. You will be asked to leave immediately without refund if found to have a pet in the unit. Any evidence of smoking and/or pet(s) will trigger additional cleaning costs and forfeit your entire deposit. 50% of total charges are required to hold your reservation. 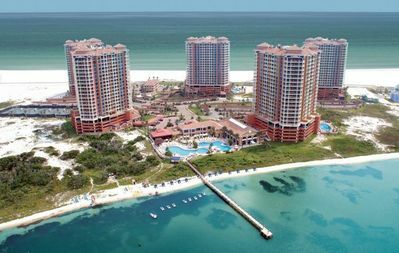 Our goal is to help your family have the best vacation ever…please let us know if there is anything we can do to enhance your stay!!! 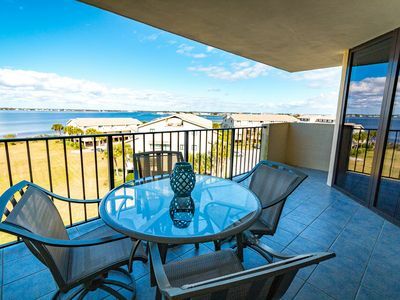 Stunning Views, Huge Balcony, Olympic Pool, Walk to Peg Leg Pete's Restaraunt! Rates as low as $99 a night! Booking 2019 dates! 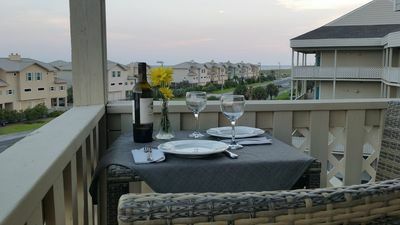 Gulf Winds 402 - Spring availability – won’t last long! 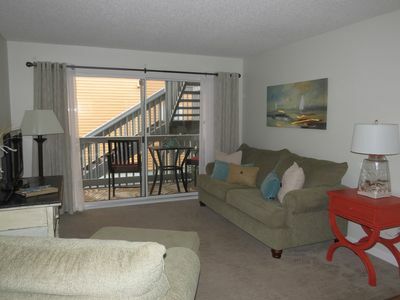 South Harbour 04C - Booking spring vacays, now! Luxury, Adventure & Relaxation All In One Place! 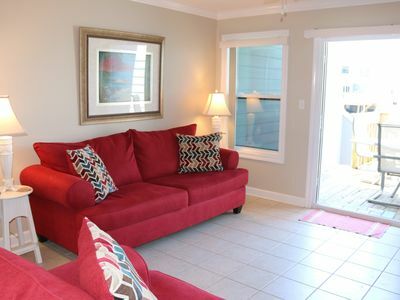 Bay View Cottage Dog Friendly! 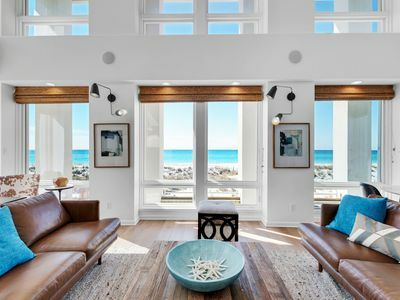 Incredible Beach Front Home with so much to offer - over 5000 sq ft - Renovated! NEW LISTING! 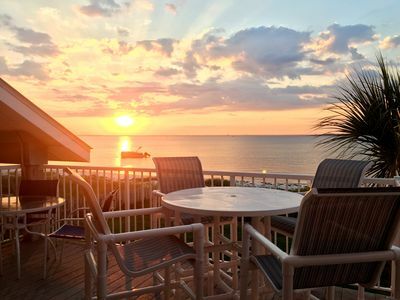 Luxury beach house w/sound and ocean views & shared pool access!